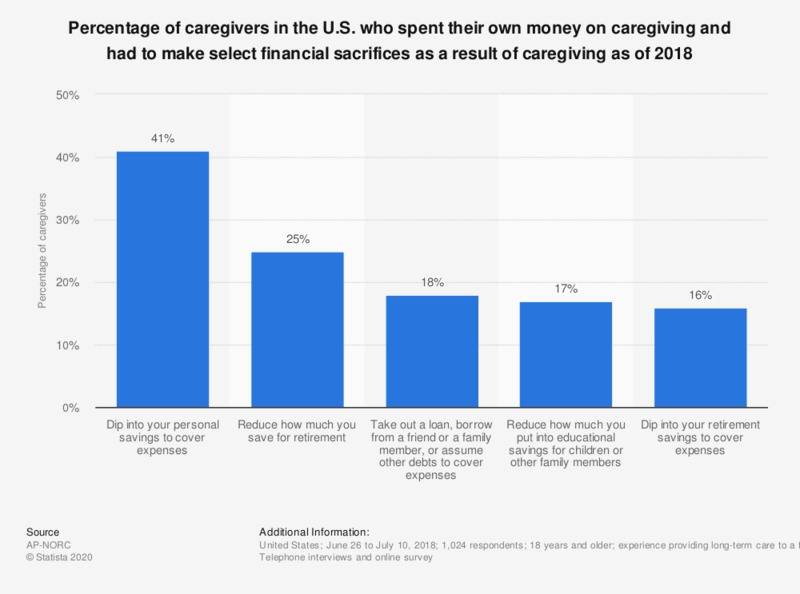 This statistic shows the percentage of caregivers in the U.S. who spent their own money on caregiving and had to make select financial sacrifices as a result of caregiving as of 2018. It was found that 41 percent of caregivers stated they had to dip into their personal savings to cover the expenses of providing care. Question: [Have/Did] you ever [done/do] any of the following as a result of caregiving, or not?